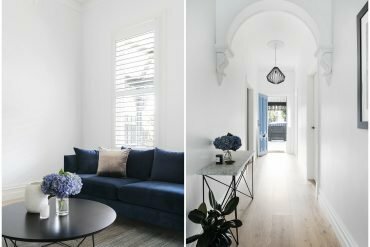 Today, I’m taking you inside a beautifully renovated Australian home, stylishly renovated by two TV stars. 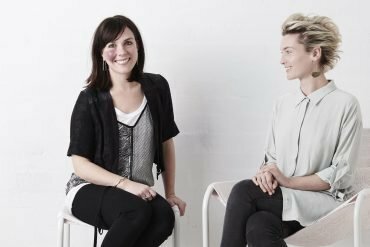 Kyal and Kara Demmirch are two of my favourite reality TV show stars. 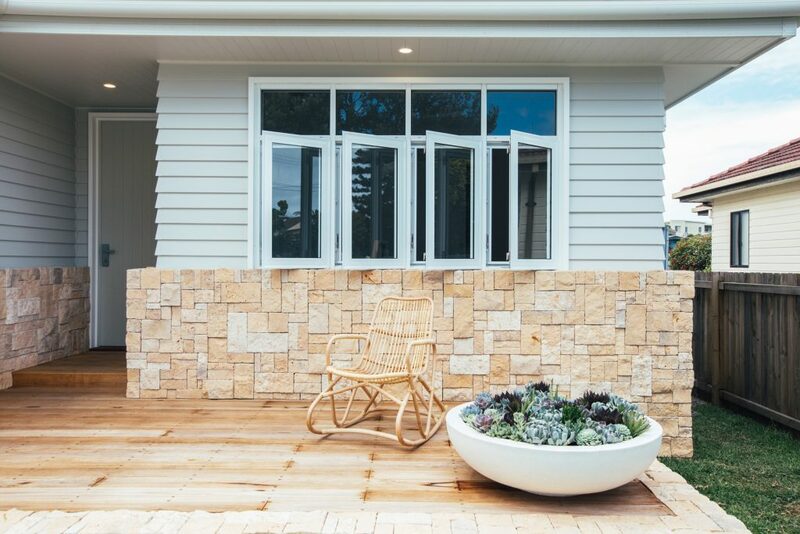 Rising to fame on Channel 9’s ‘The Block’, I love this couple for their laid back, hard-working nature. 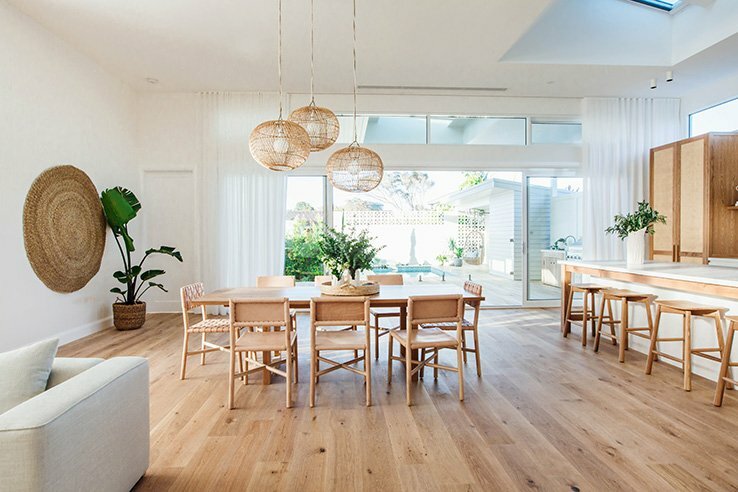 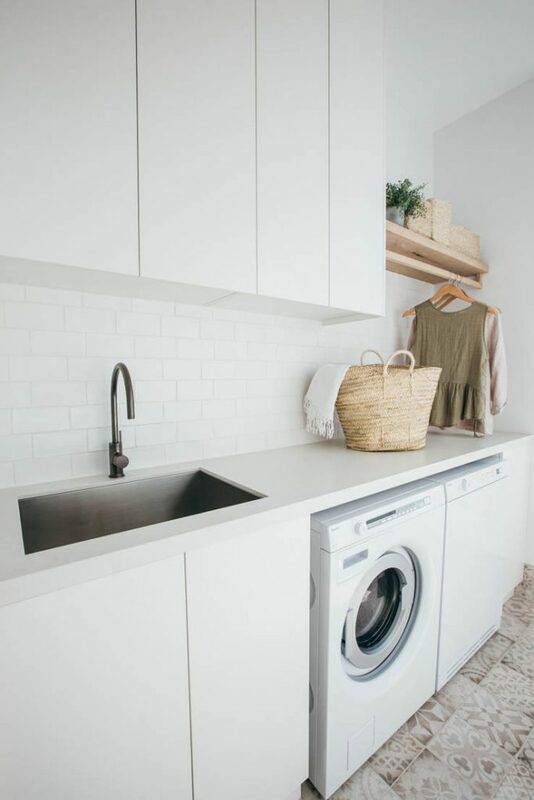 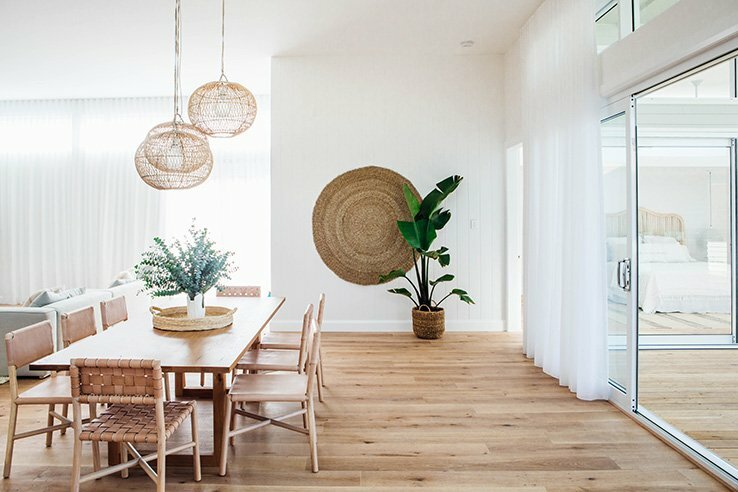 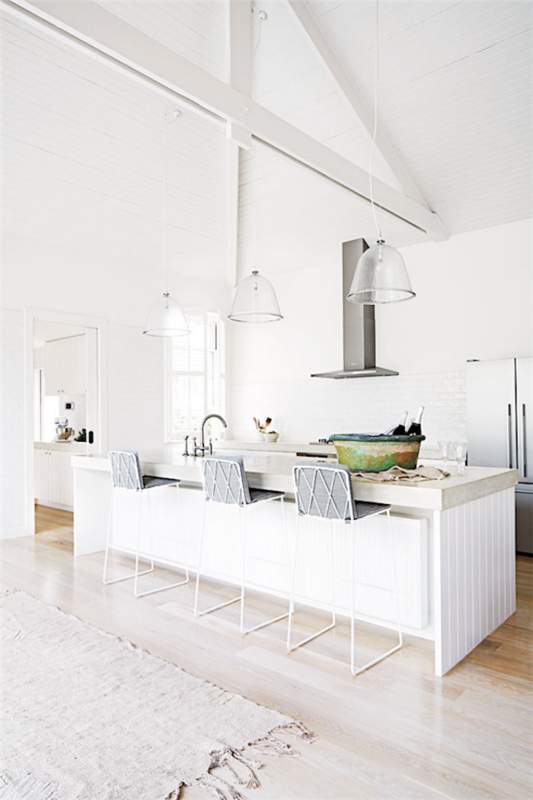 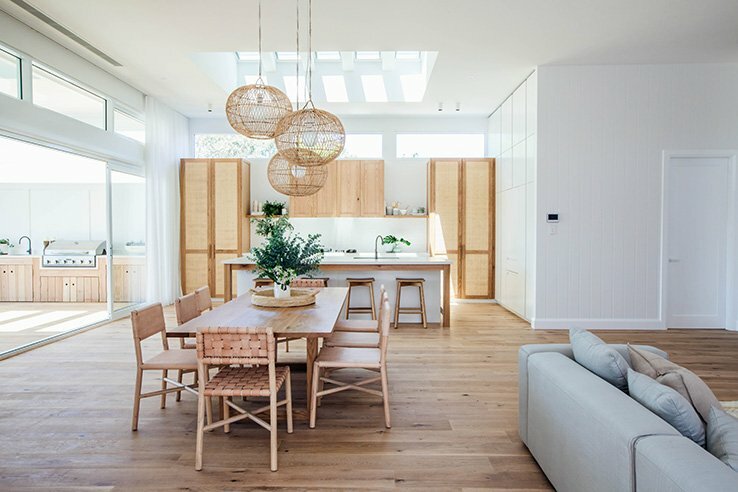 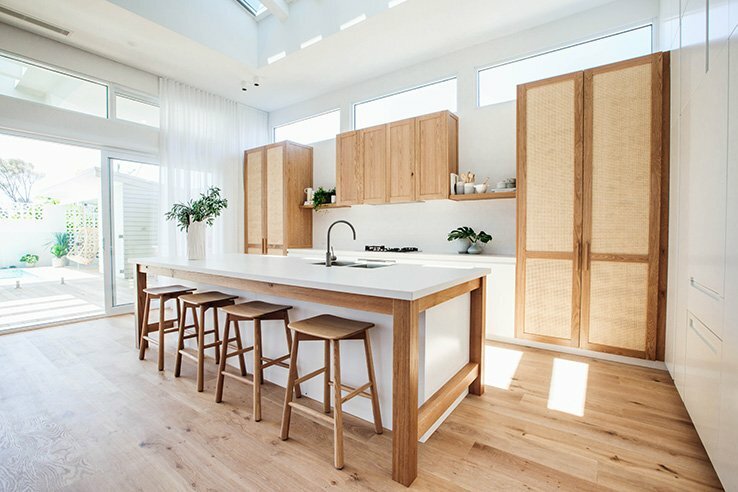 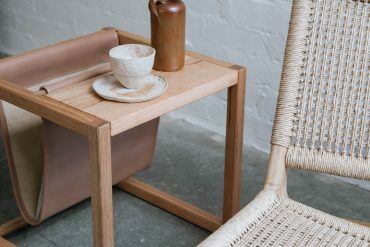 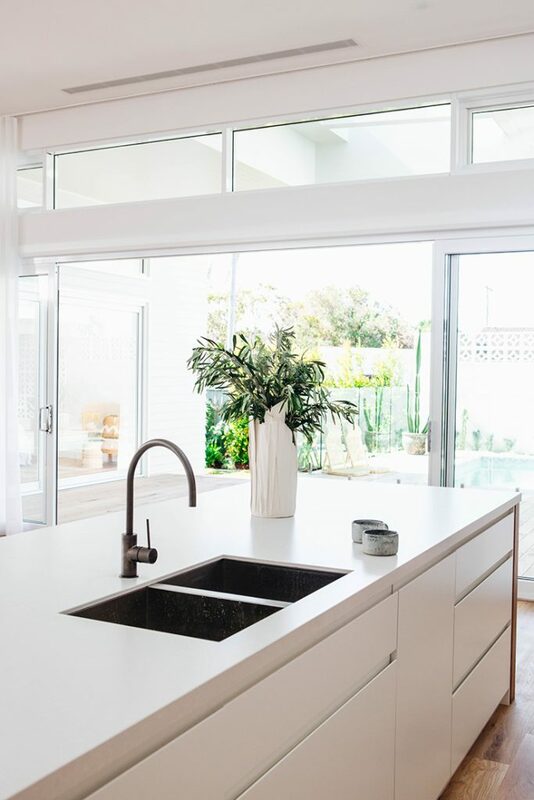 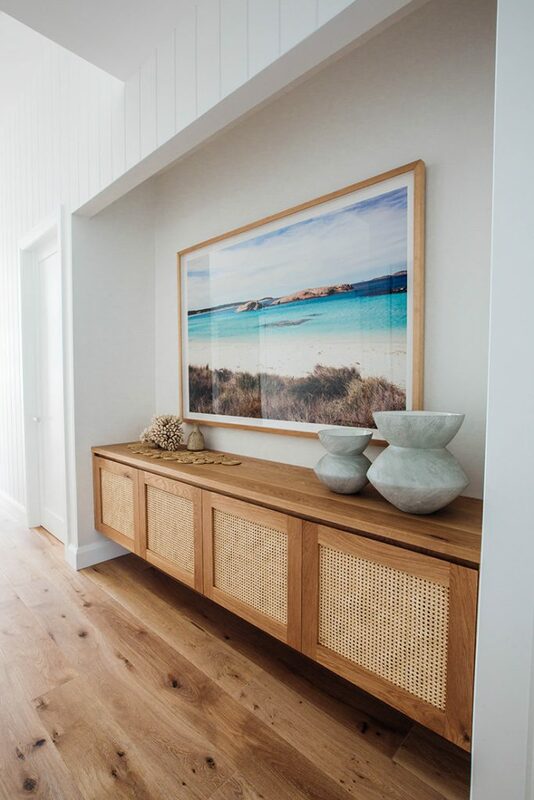 Their latest project is a sunny, all-white coastal-style property in Long Jetty, on the New South Wales Central Coast. 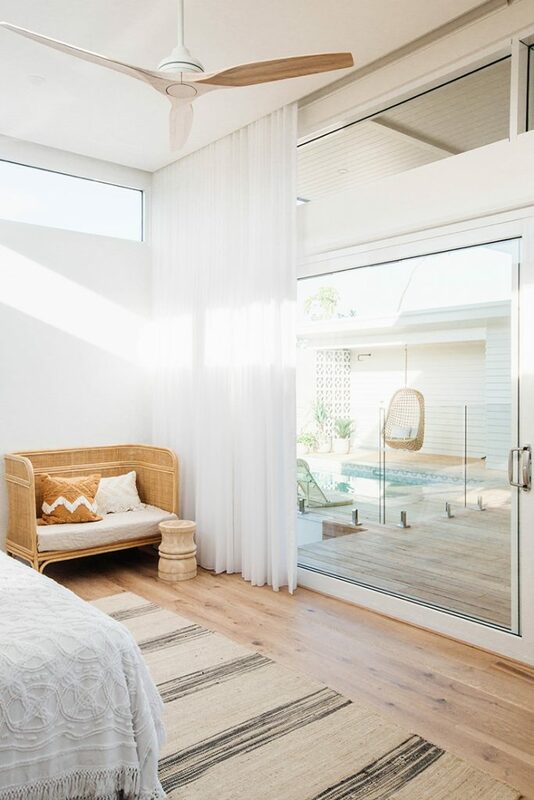 Influenced by the architecture of mid-century Palm Springs homes in California, this four bedroom, three bathroom Long Jetty home uses clean lines, lots of big glass windows, natural finishes and flow-on indoor/outdoor spaces. 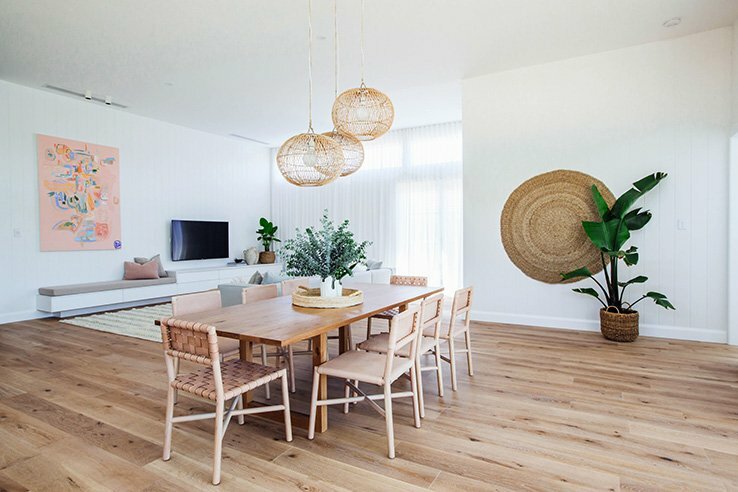 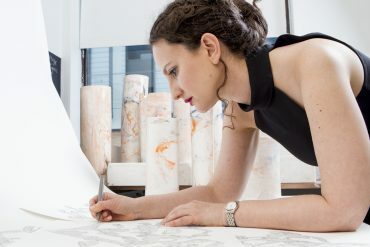 It’s a style that I hear is known as ‘Desert Modernism’ and I’ve got to say, I am in love with both the look and that name! 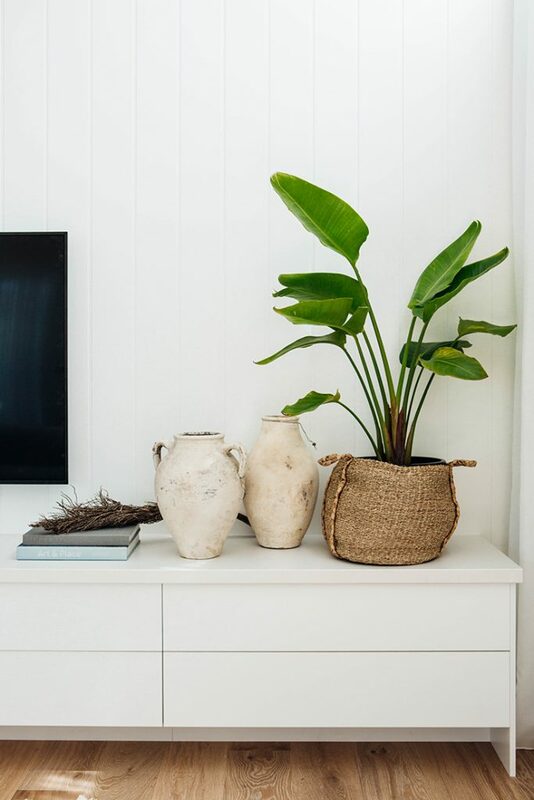 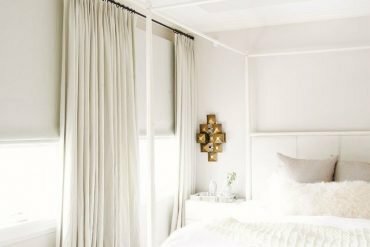 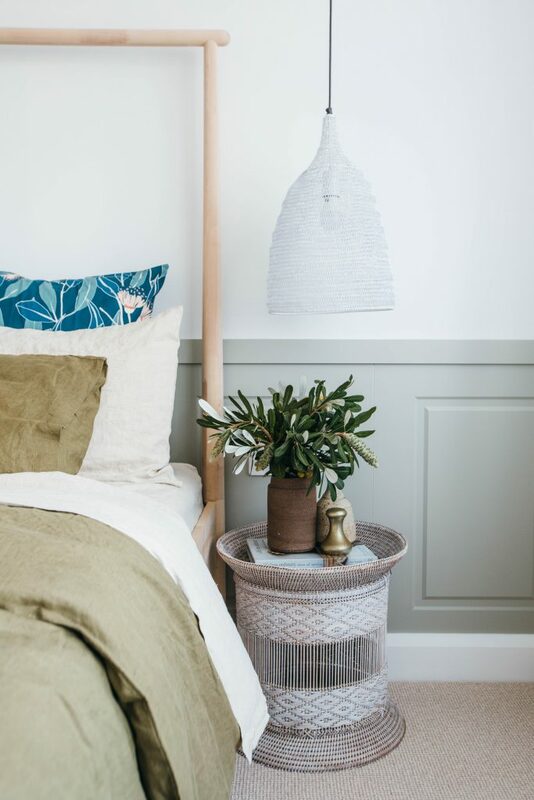 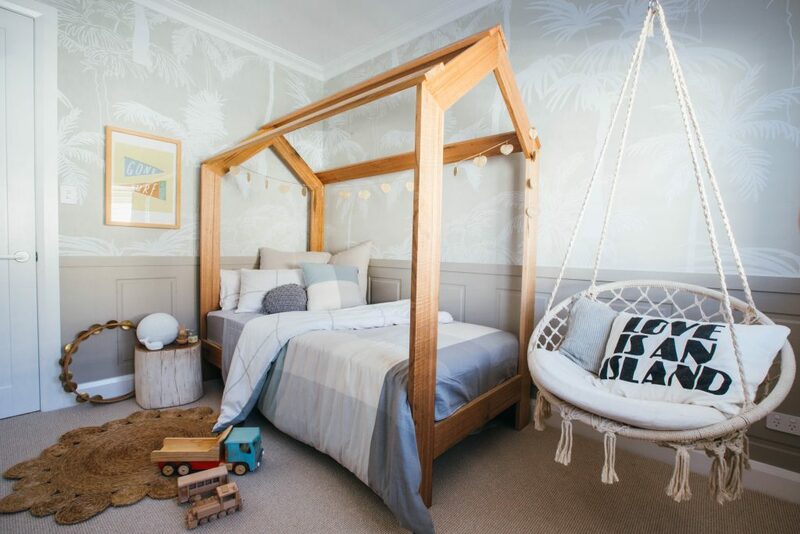 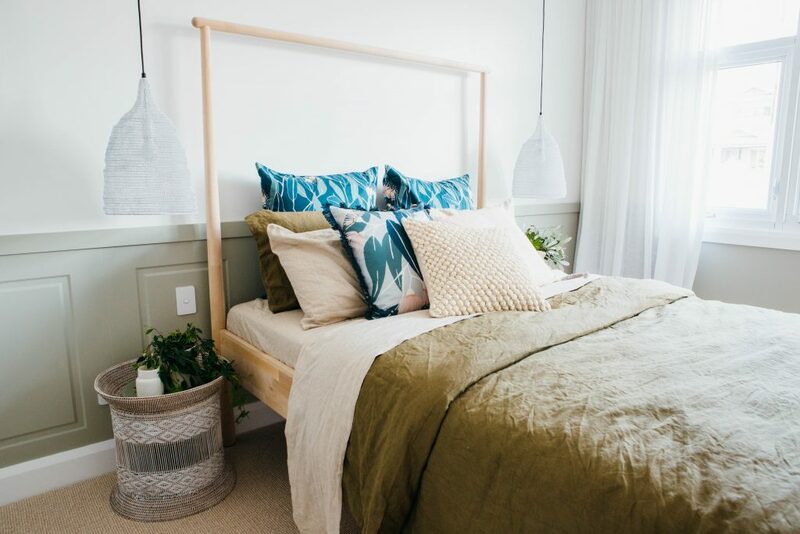 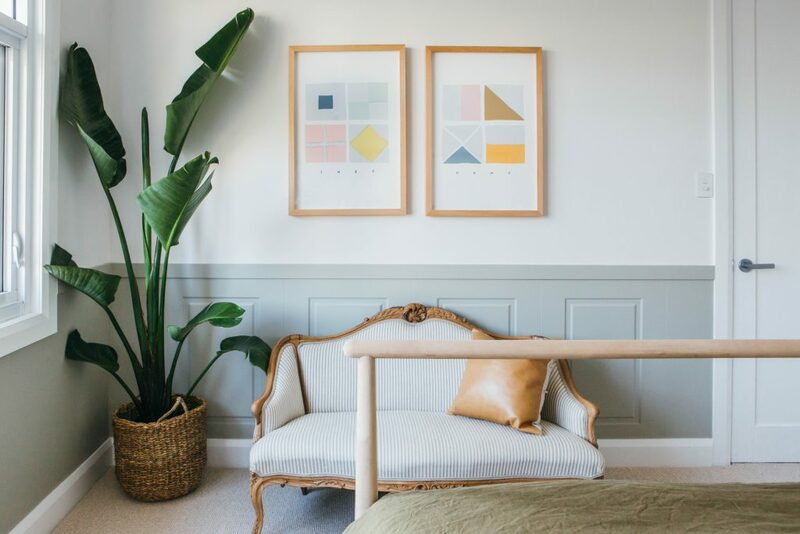 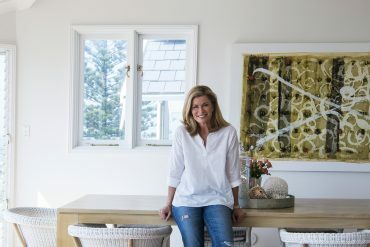 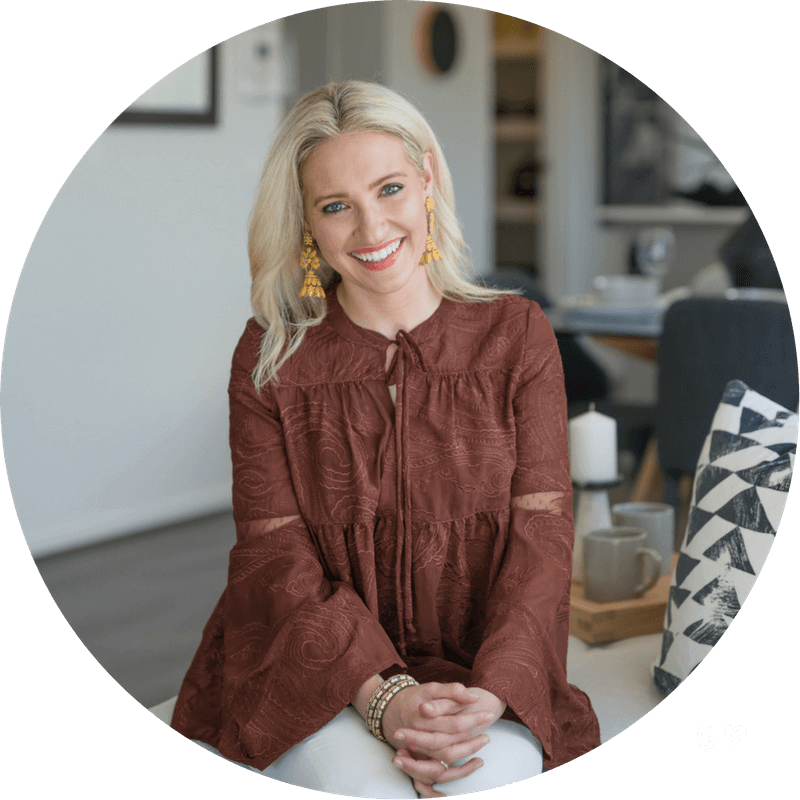 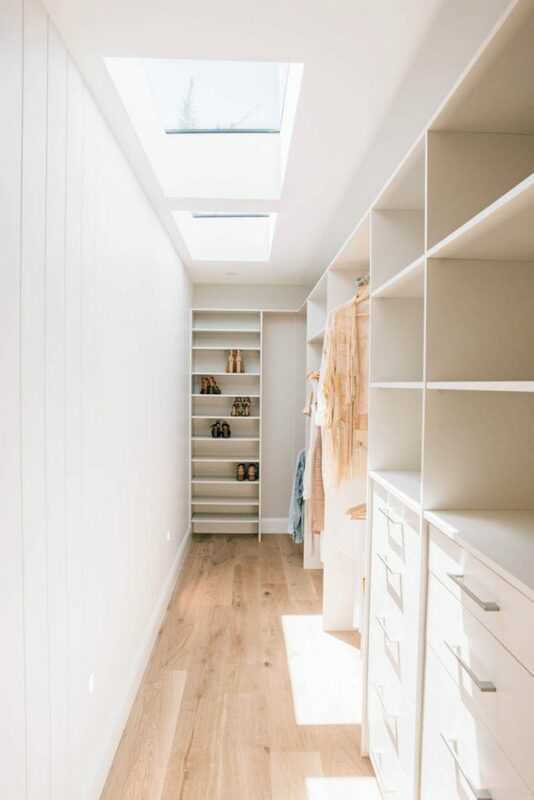 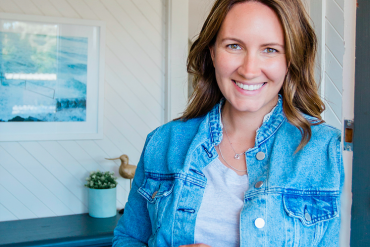 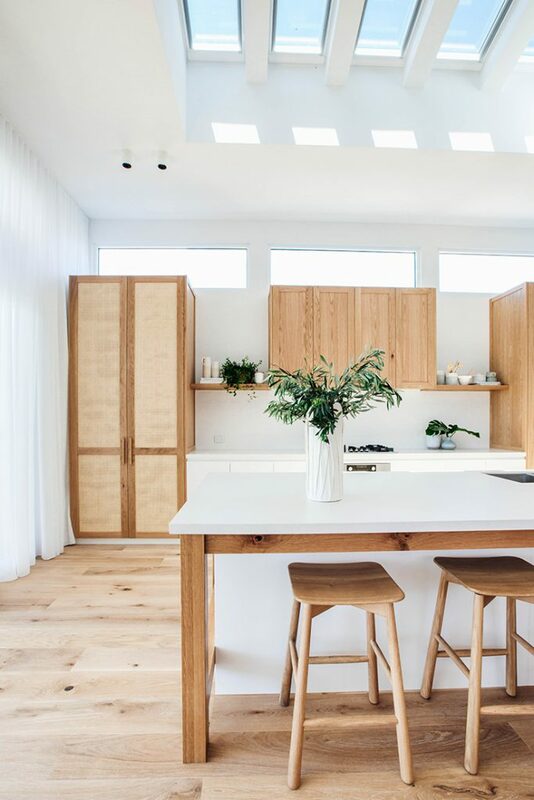 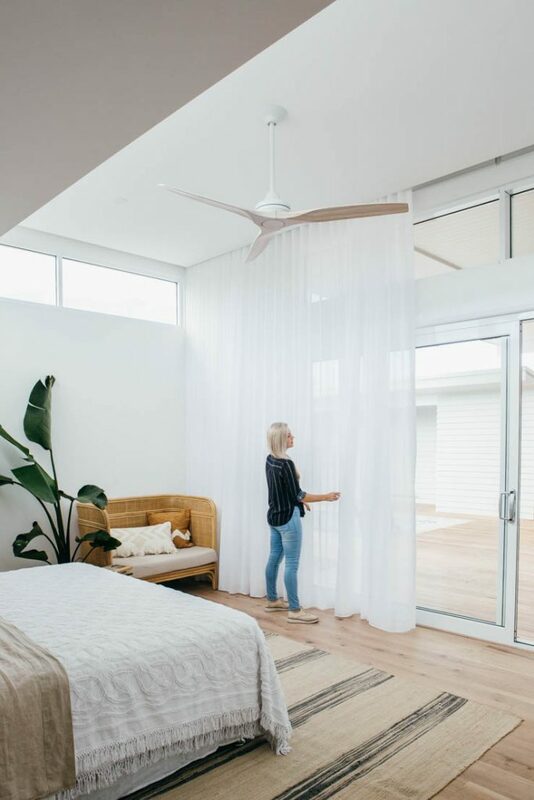 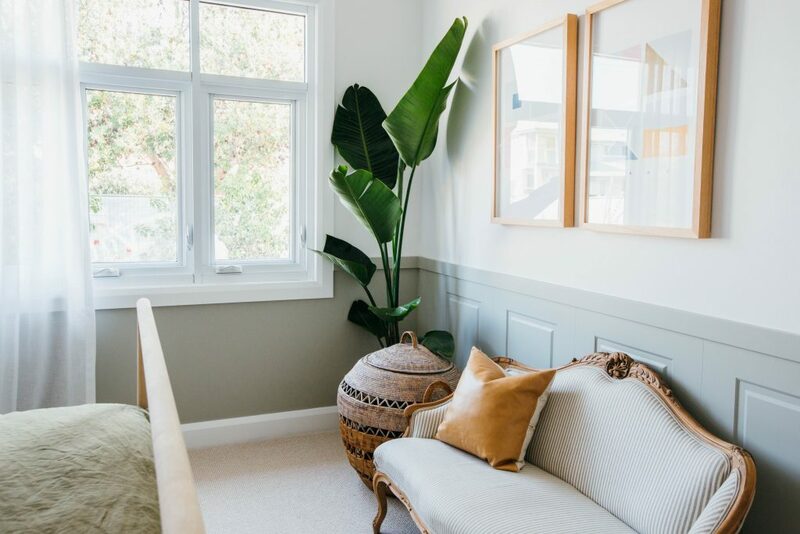 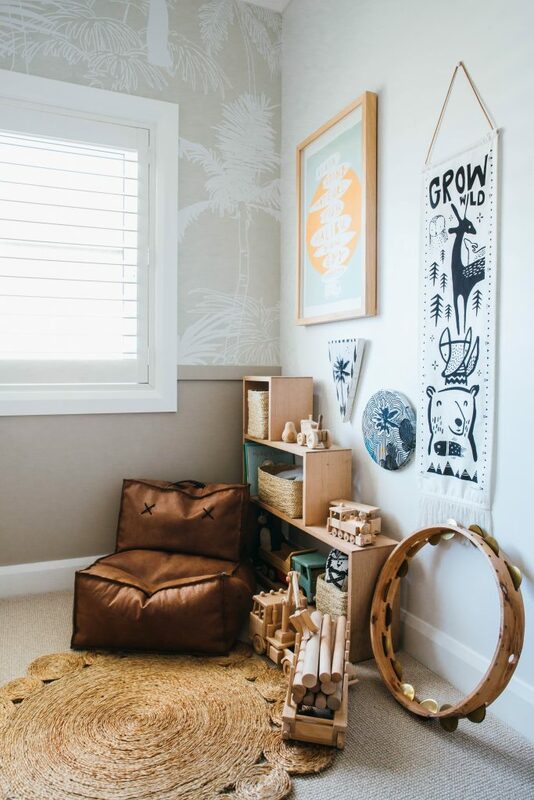 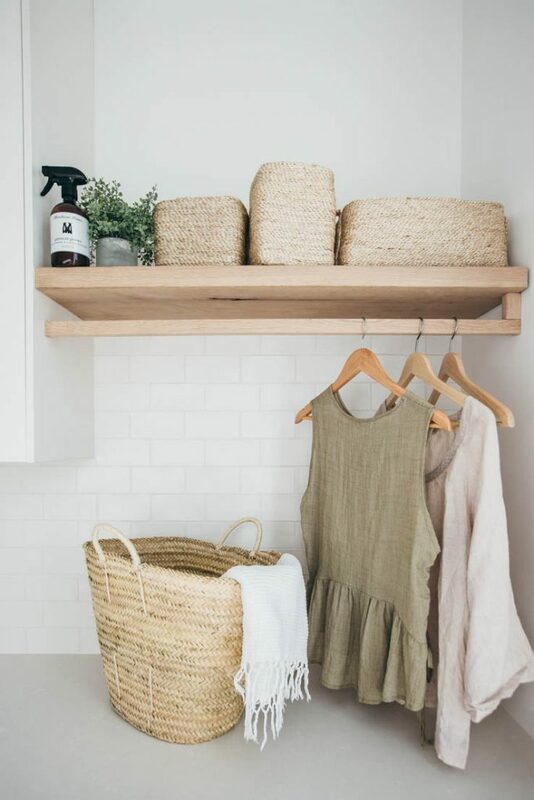 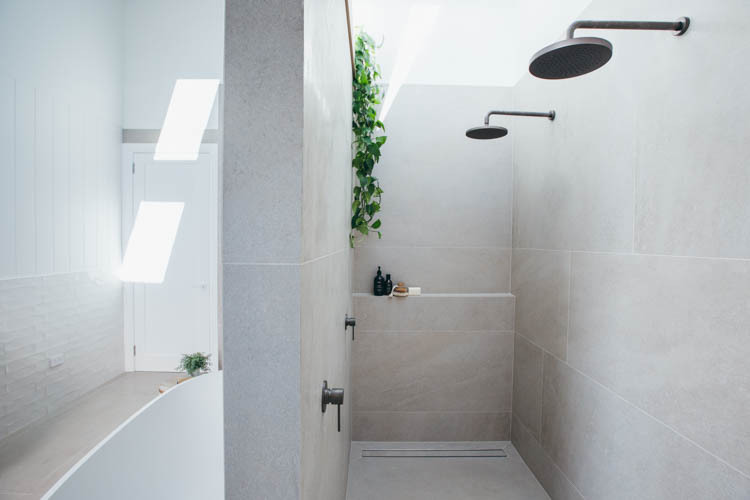 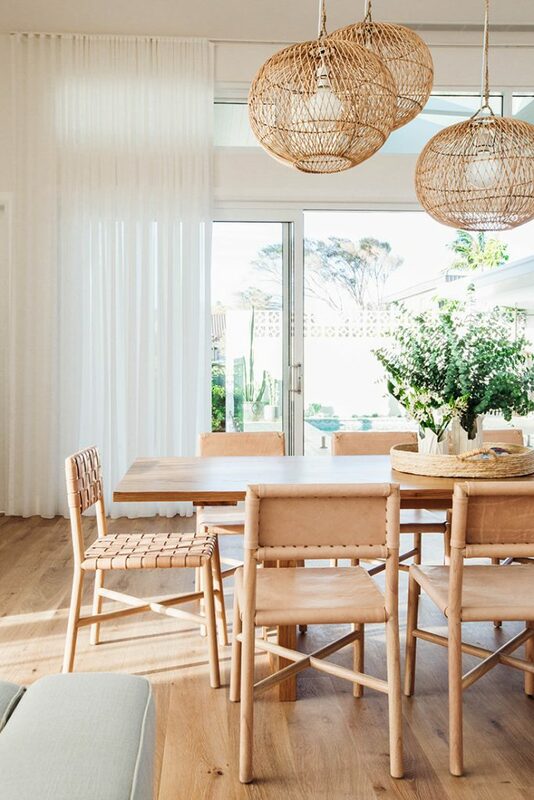 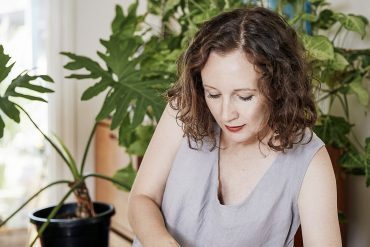 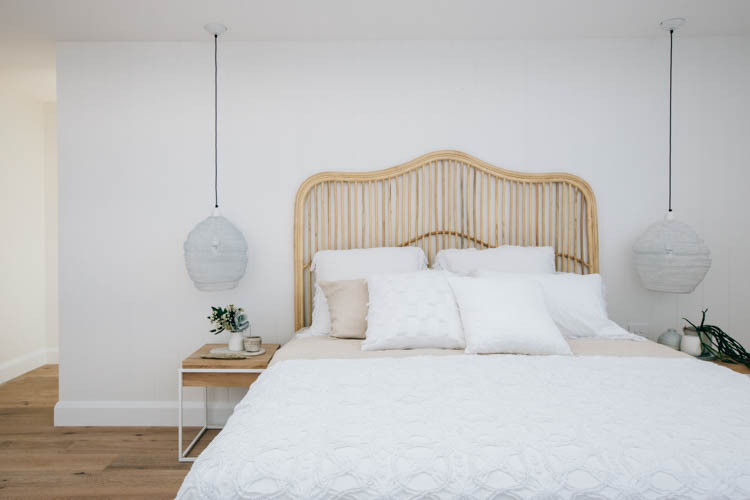 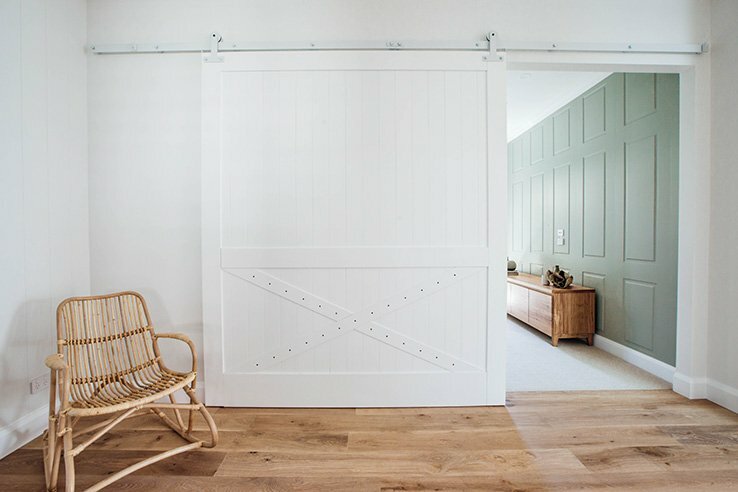 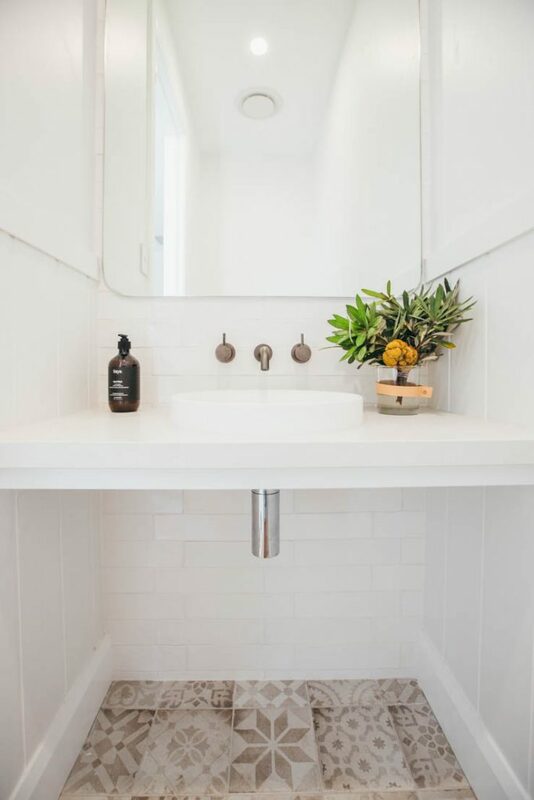 Kyal and Kara transformed the original, dated weatherboard home into an informal, expansive, light-filled sanctuary that feels comfortable, inviting and has an ideal footprint for entertaining. 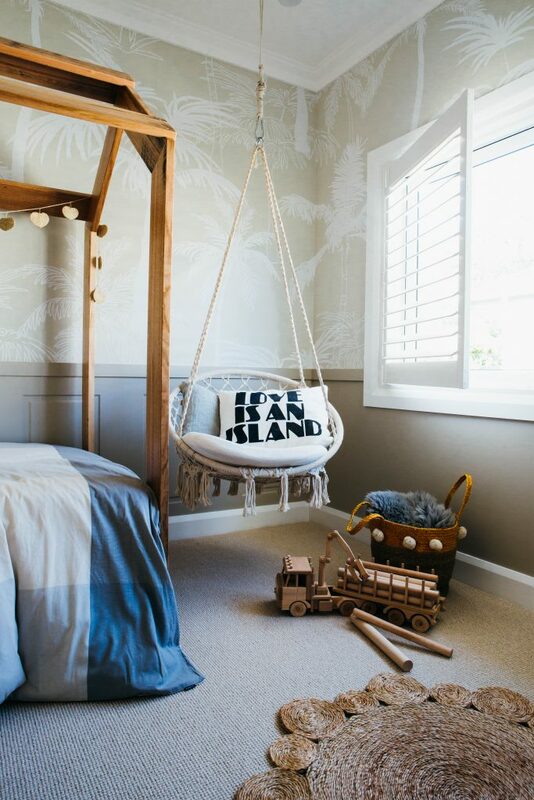 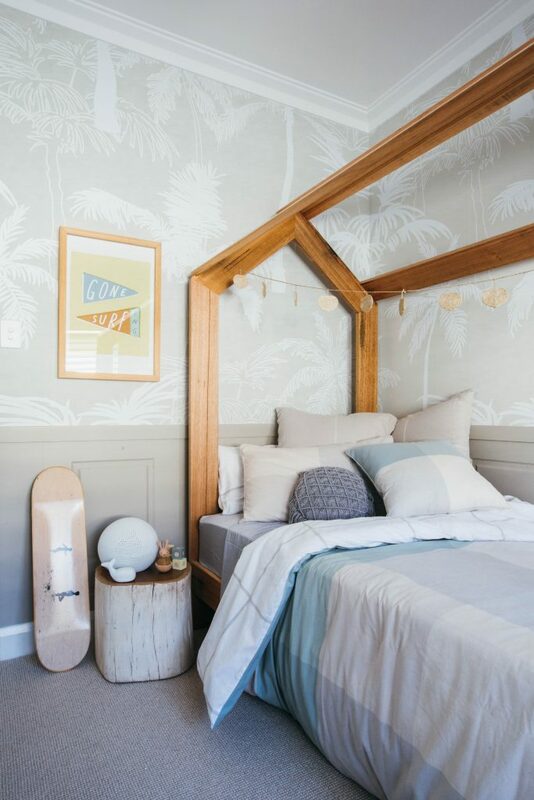 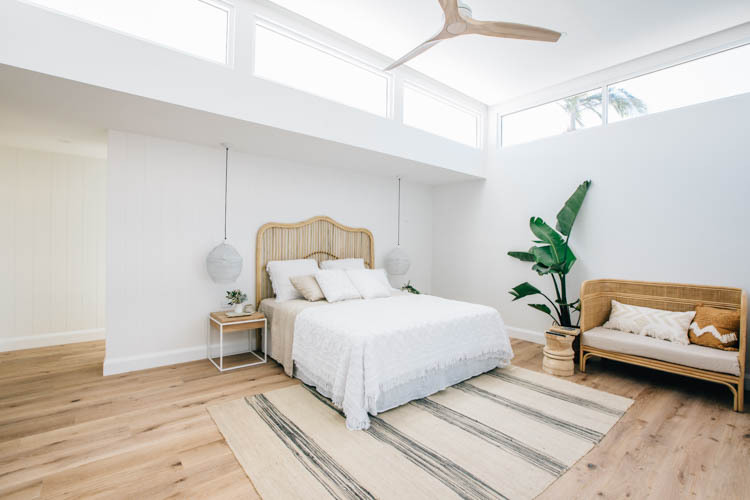 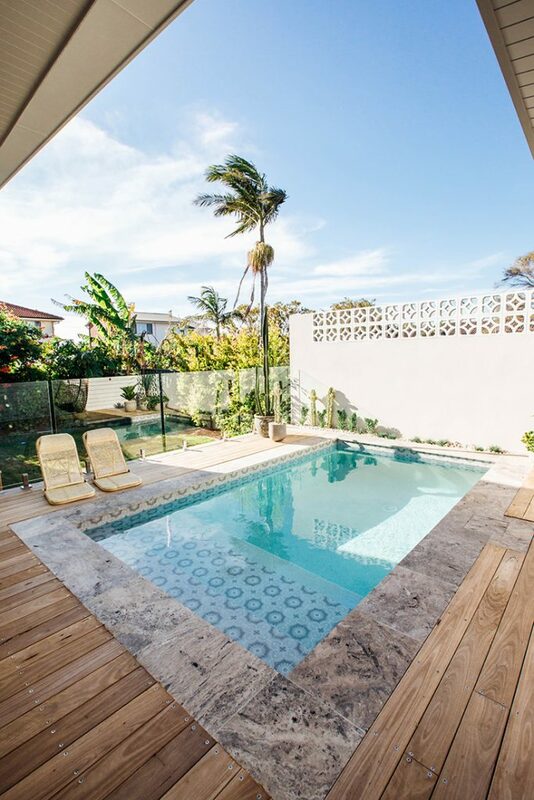 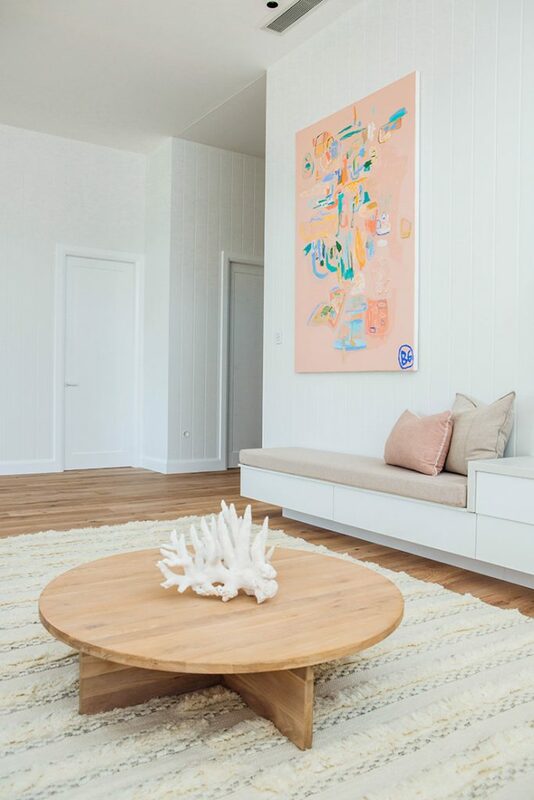 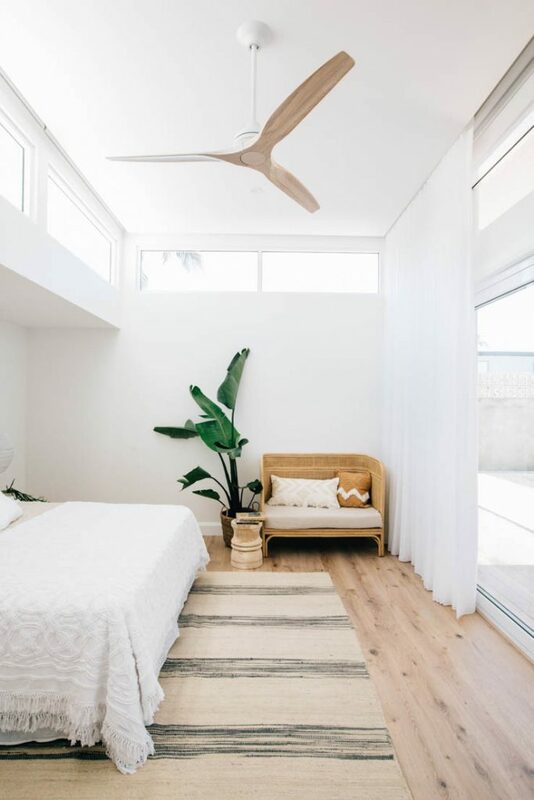 As with every project, there’s a starting point, and at this Long Jetty home, the Canary Date Island Palm tree at the front of the property served as a key inspiration source for the renovation. 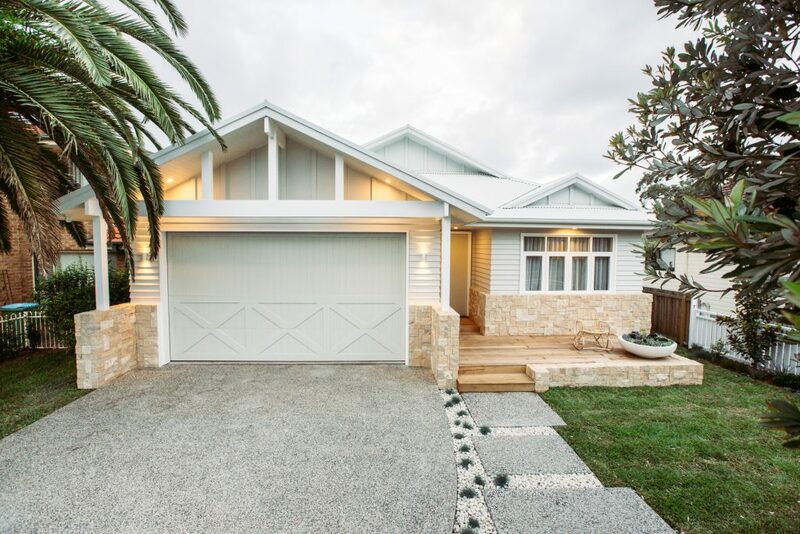 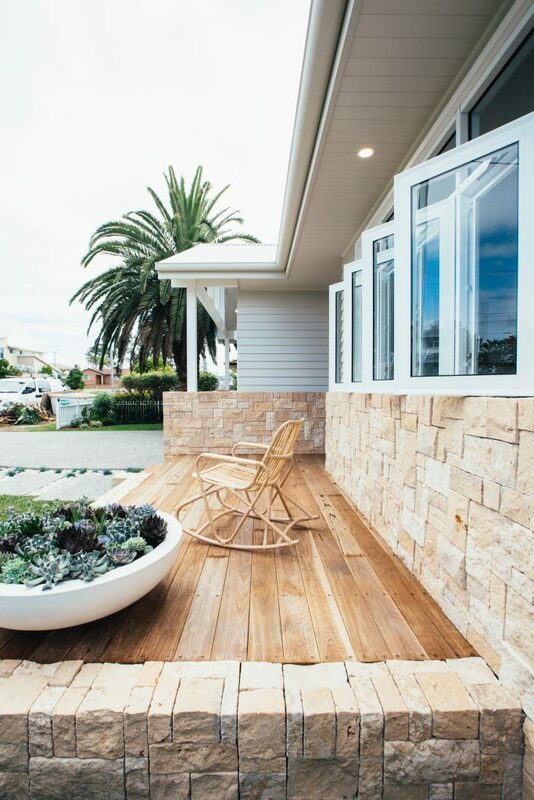 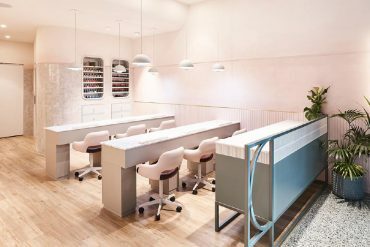 Although the Palm tree inspired our design theme, we wanted to create a classic coastal look for the facade using some of our favourite materials – white weatherboards, timber and limestone. 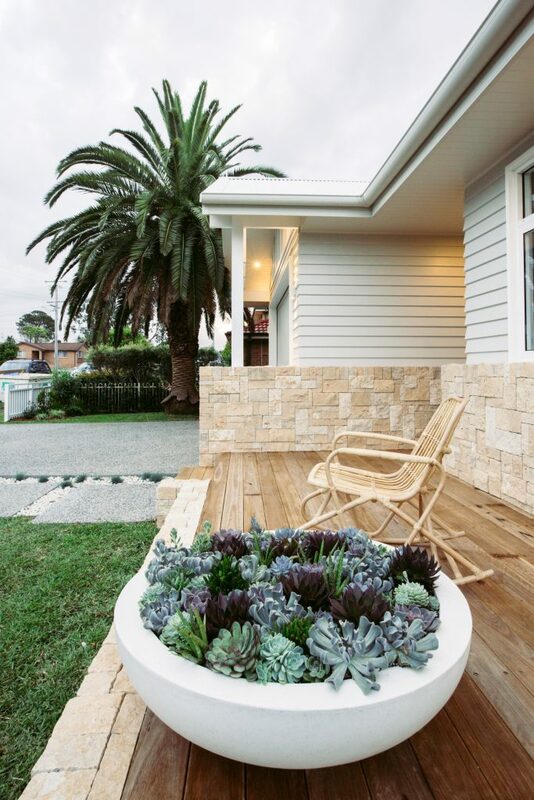 We’re so happy with how it has all come together and we believe we have created the perfect facade. 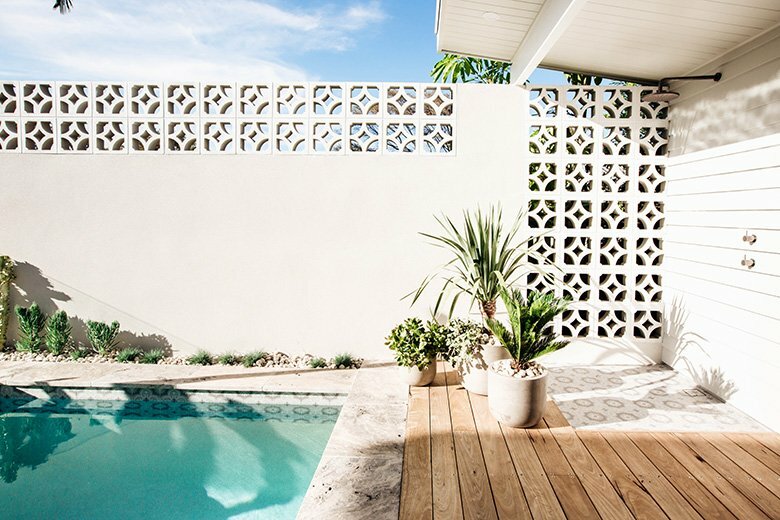 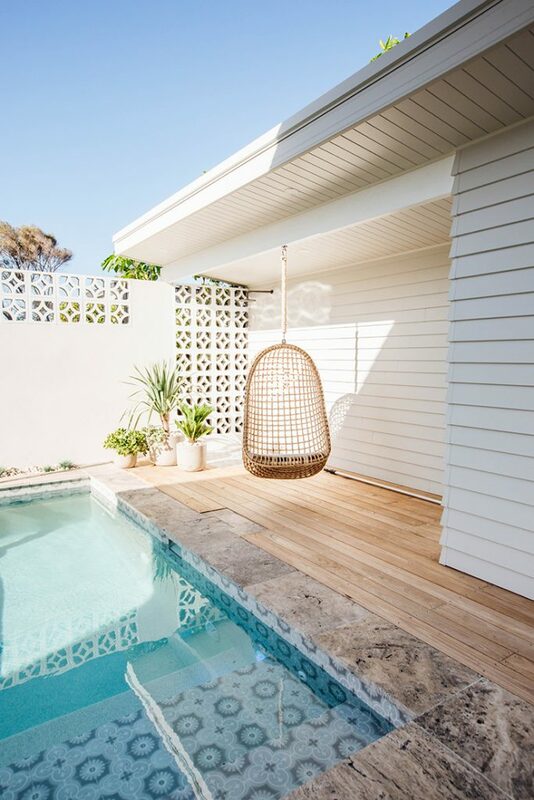 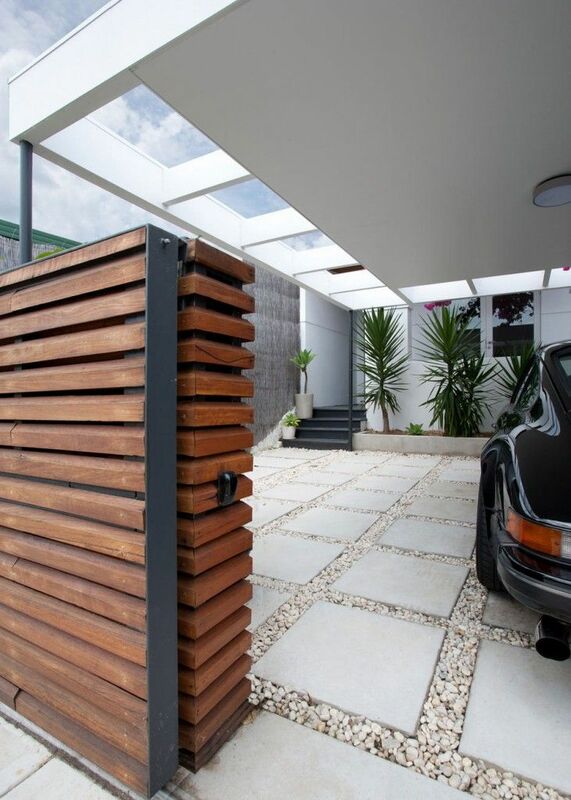 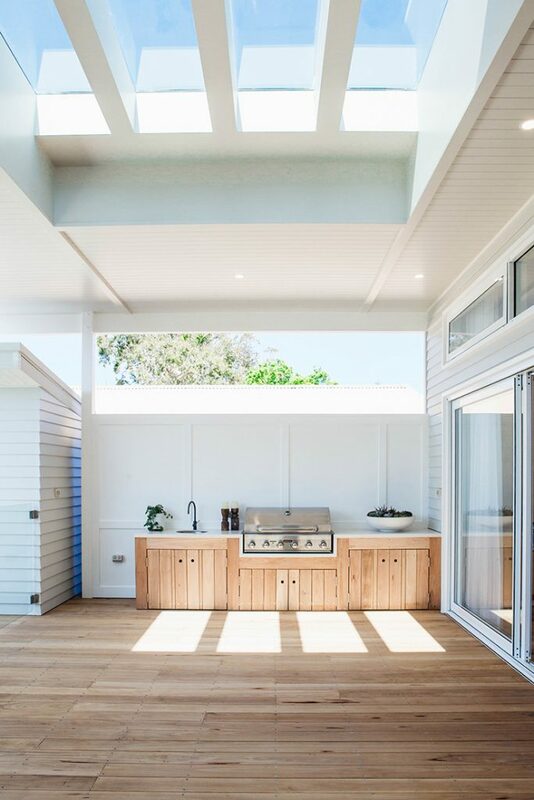 The blackbutt timber decking, hand-laid limestone walls, modern vertical weatherboard cladding and the oversized Corinthian Deco door, with its modern interpretation of the mid-century Palm-Springs theme, more than hint at the transformation that has taken place inside. 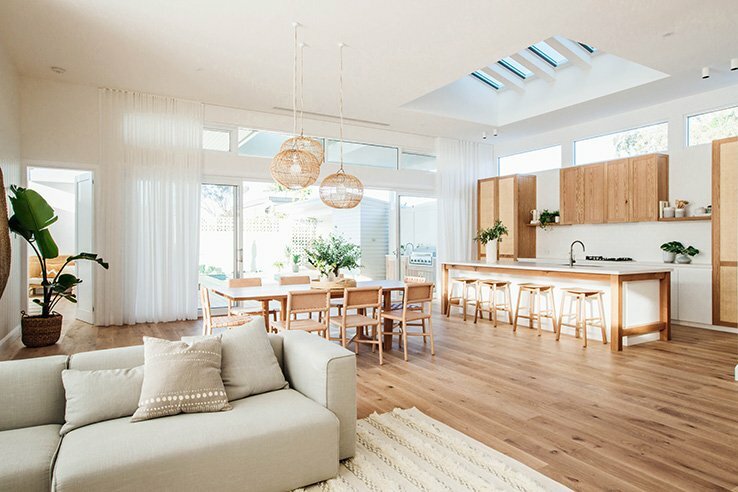 As you enter, you’ll see the sweeping ceilings, large glass windows and open-plan living space flooded with natural light. 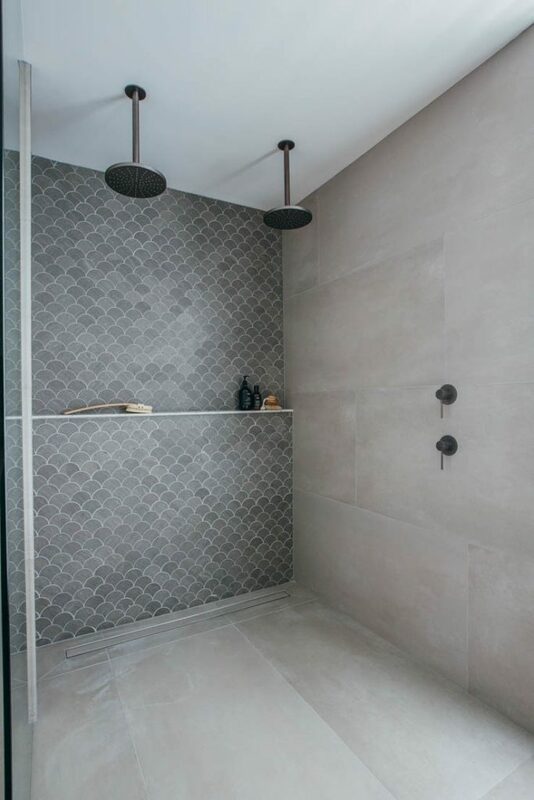 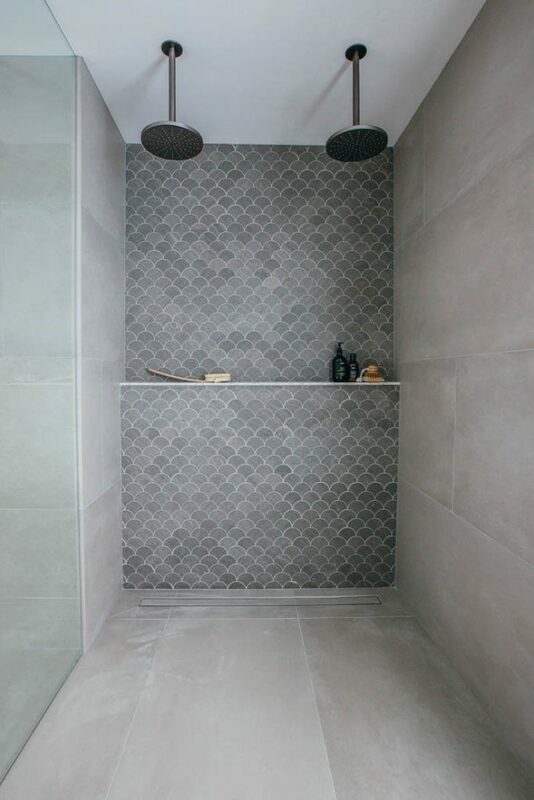 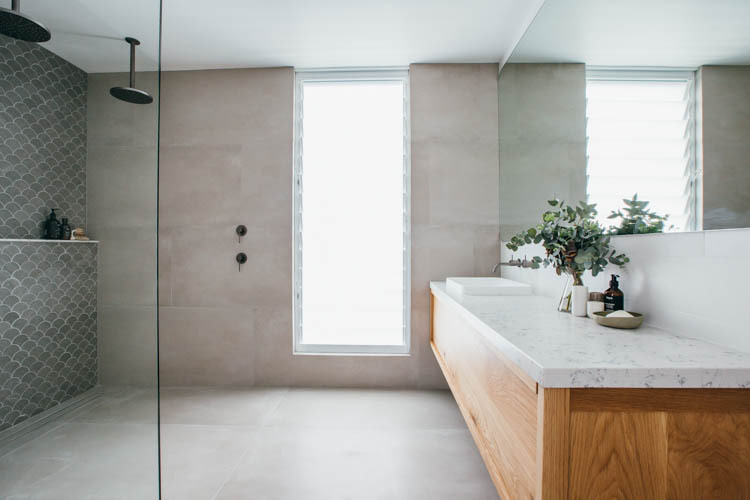 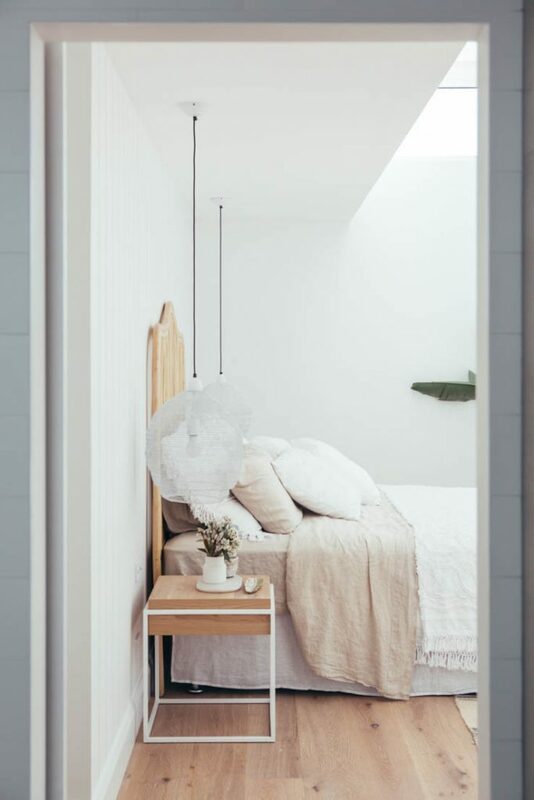 My favourite design features include the sliding barn doors, which the duo chose for their space-saving appeal, the Moroccan tiles that appear in the bathrooms and plunge pool, the light-flooded walk-in-robe and I can’t leave out that gorgeous artwork by Australian artist Bonnie Gray! 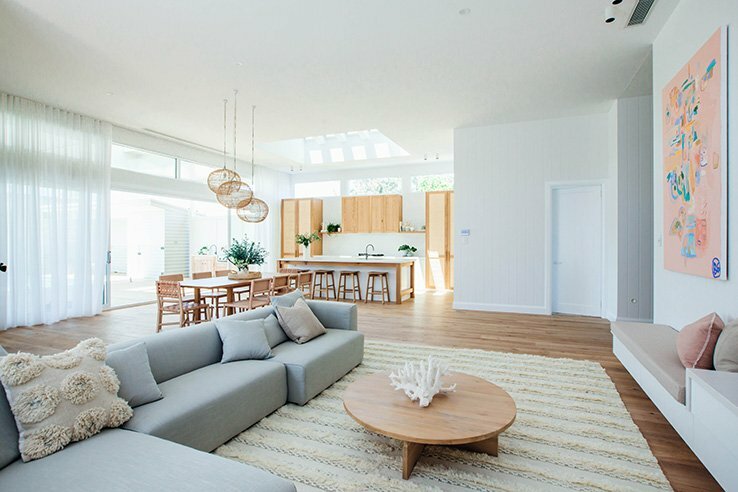 Kyal and Kara chose Gyprock Superchek plasterboard for its impact and sound resistant benefits: ideal for a family home as it delivers less noise transfer, plus it’s perfect for areas that are prone to knocks and bumps, which of course is a huge bonus when designing a family home, where kids are likely to cause a bit of damage over time. 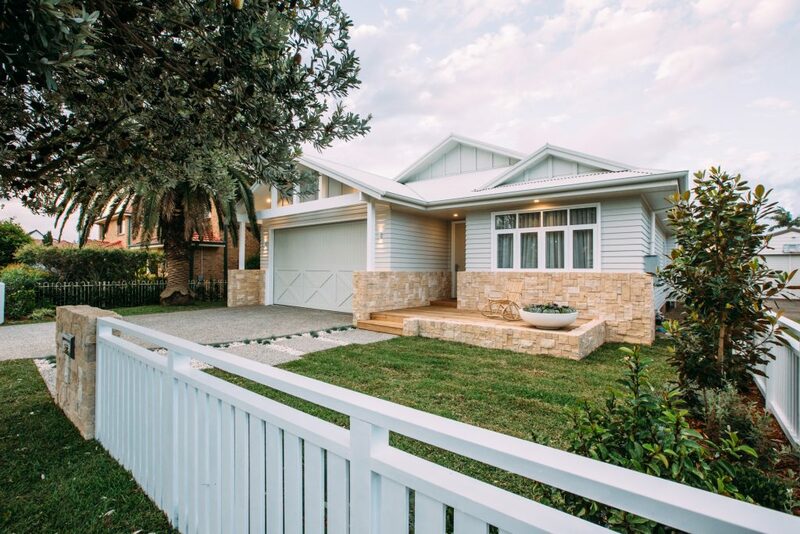 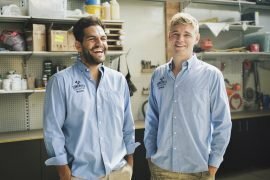 The couple bought house for $710,000 in early 2017, and after their hard work, the family home sold at auction for $1.59 million. 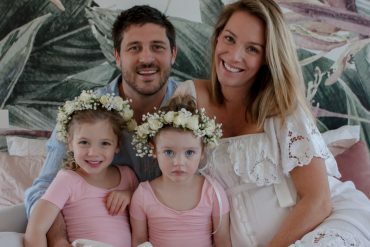 What an outcome! 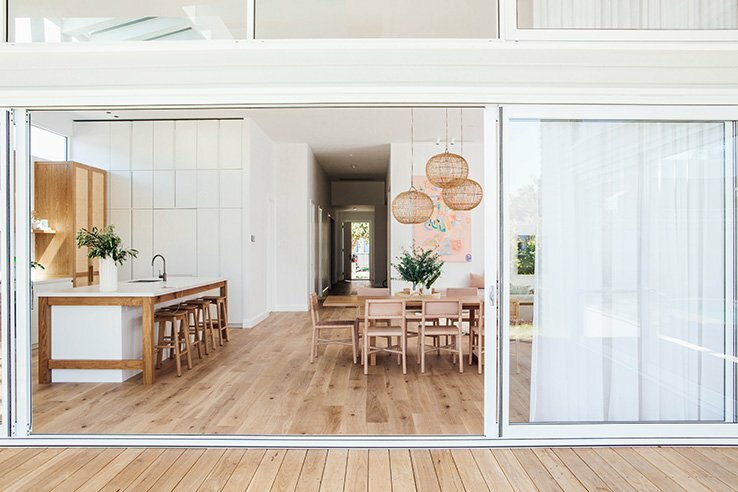 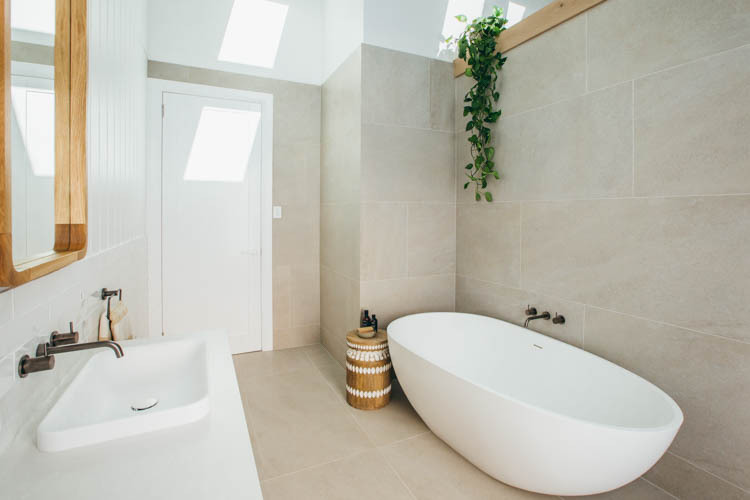 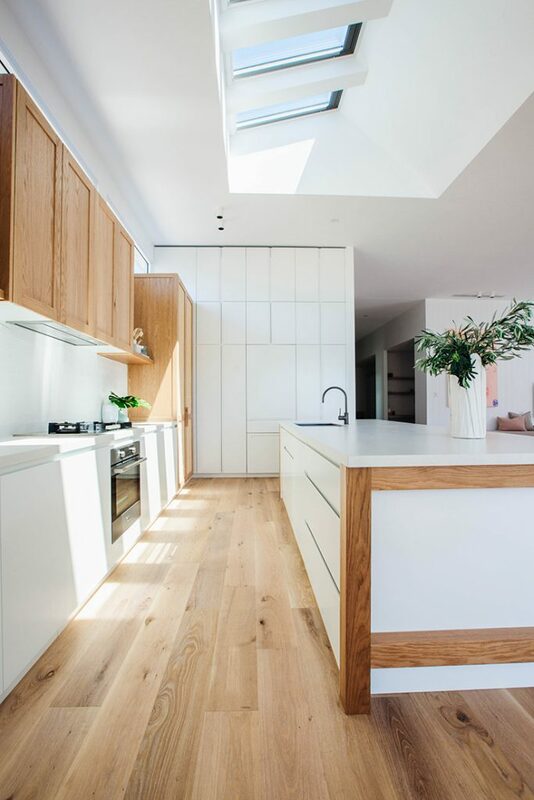 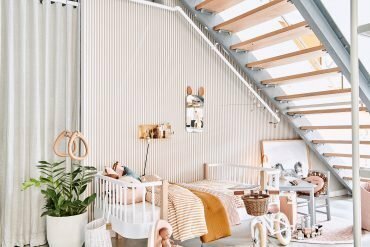 So scroll down and explore this Australian home renovation!